This decade-old parking lot used to be more than 200 public housing units. Now there’s finally a plan to rebuild. 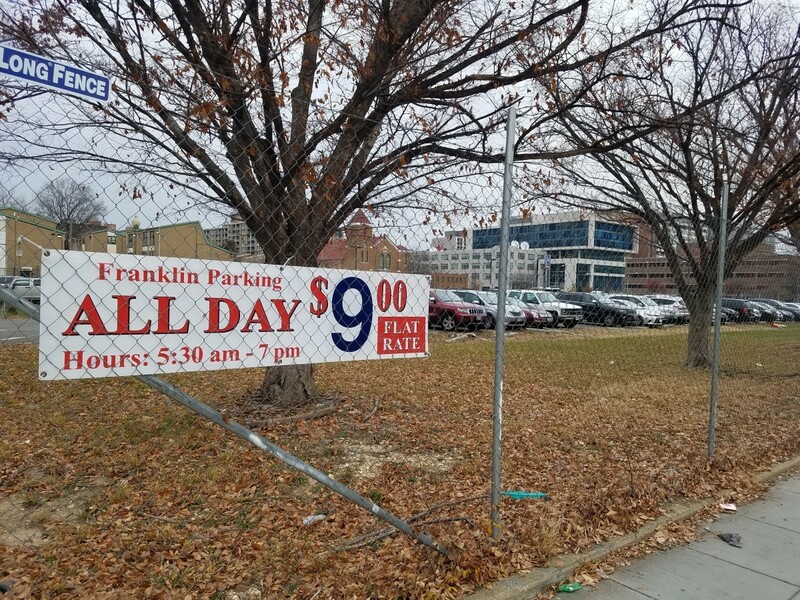 Site of the old Temple Courts homes, today a parking lot. Image by David Whitehead. Temple Courts at 33 K street NW was opened in 1973 as a low-income housing project. It was one of a number of similar housing complexes in the neighborhood created with the vision of encouraging community among the people who lived there. According to older residents, that vision was at least partially realized, and neighbors held a number of community events and activities. However, over the years those bright spots became overshadowed by a number of issues as lack of maintenance and escalating crime made Temple Courts a difficult place to live. In 2005 DC launched the New Communities Initiative (NCI) to rehabilitate public housing projects as federal funds were continuously declining. 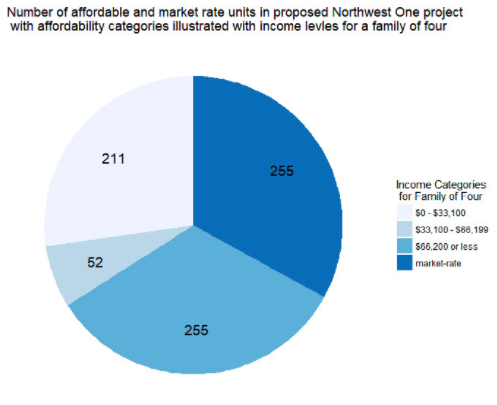 NCI promised to redevelop targeted complexes with mixed-income housing, replacing the existing affordable units one-for-one. The initiative also promised former residents that they could remain in or return to their neighborhood, primarily by building the replacement units first before demolishing the old public housing. Temple Courts was slated to be one of NCI’s signature projects, especially when the murder of a 14-year-old girl in 2004 brought public pressure for something to be done about the neglected neighborhood. In March of 2007, then-Mayor Adrian Fenty met with residents and gave them three options: stay in the decaying building, move out temporarily to allow fumigation, or receive vouchers to move elsewhere while the new homes were built. The majority of tenants wanted to move although some fought to stay, fearing (presciently as it turns out,) that there would be no place to return to. In 2008 the Temple Courts building was demolished, and Fenty posed for pictures in the cab of the wrecking ball machine. Almost immediately, the redevelopment plan started to have problems. Covenants were unearthed that specified only subsidized housing could be built on the Temple Courts site, complicating the vision for a mixed-income building. The 2008 market downturn meant the the market-rate rents no longer would support the project as planned, and a host of other issues appeared. Someone even misplaced the blueprints for the original project. 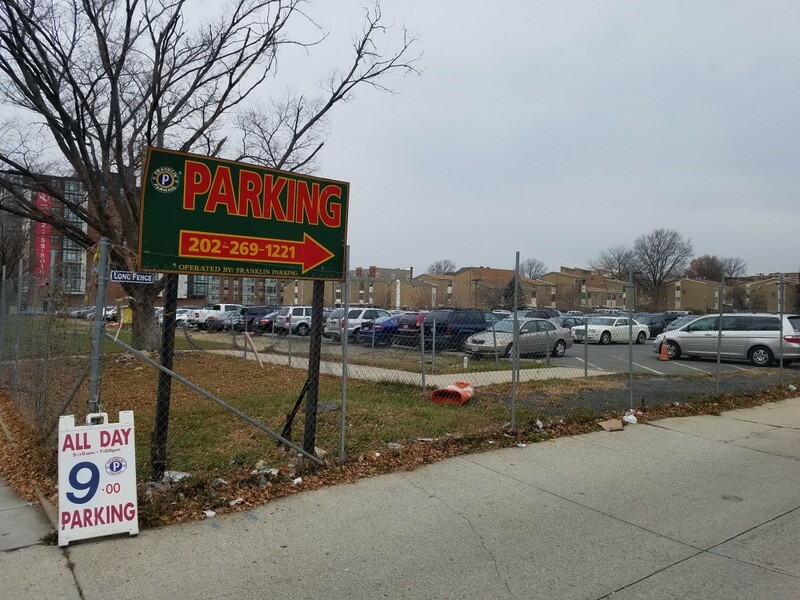 After many, many delays, the Temple Courts site became a parking lot, and the residents of the 211 units of Temple Courts were scattered. Some moved to suburban Maryland, some to Virginia, while others moved to various lower cost homes in neighborhoods throughout DC. Some former residents moved as many as six times before finding a place to settle. By 2013, only 22 families had moved back to the neighborhood into whatever homes they could find. Rendering of selected proposal for the redevelopment of Temple Courts. Image by MRP/CSG. A Seat at the table: Former TC residents & WIN will be able to review the final proposal before it goes public. The result is a project that meets nearly all of the group’s demands. 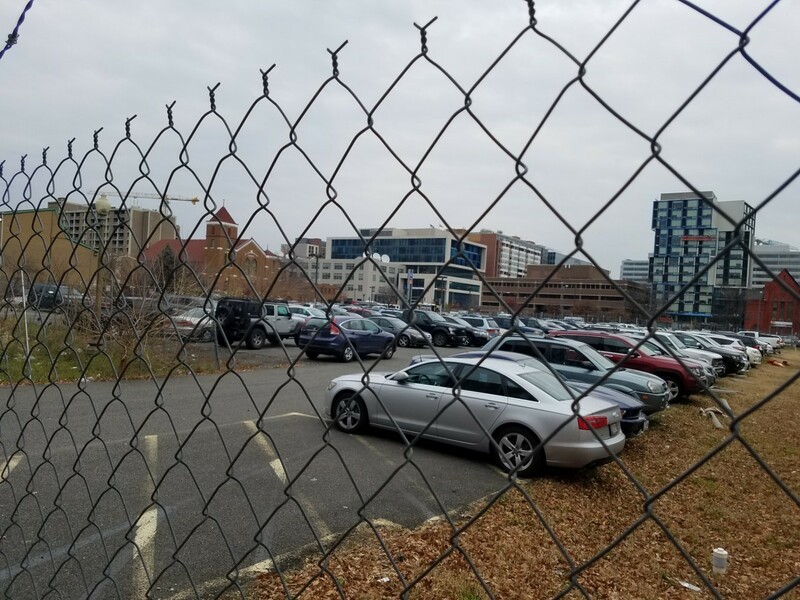 The building proposed will occupy both the Temple Courts’ site at 33 K street and 1010-1024 North Capitol Street and will have retail and community space on the ground floor, including a grocery store and community center. Of the 772 residential units to be built, 518 will be rented at affordable levels, and 211 of those are the replacement units for those lost when Temple Courts was razed (these will be rented at or below 30 percent Area Median Income). It is a hopeful restart to fulfilling the promise made long ago to Temple Court tenants when their homes were razed, and it’s an encouraging story of a grassroots organization successfully working with local government. Still, there are many hurdles to jump before the tenants receive their keys. This is a long-delayed but good result. DC should learn from this. Redeveloping low-income homes well is difficult, especially with declining federal funds. All too often in DC there are examples of redevelopment projects that don’t meet the basic promises given here at Temple Courts. In a growing city with rising rents, it makes fundamental sense to commit to replacing our affordable homes one-for-one as we redevelop old properties, and to create plans that allow the current residents to stay there. As shown with this project, when significant density is added (and the supporting market-rate rents that come with it), these are achievable goals. However, the city is not consistently following through on its promise to replace affordable homes. Even within NCI’s portfolio this promise is not being kept — Barry Farms, another NCI project, is preparing to raze existing homes without first building replacement units for all current residents, though they are phasing construction to minimize tenant disruption. The city can and should do better. That is partly why both authors worked together as a part of a diverse group of organizations to push for these basic affordable housing and displacement promises in DC’s Comprehensive Plan. Amending the city’s primary land use document to include these basic redevelopment principles should pave the way for more results like what (hopefully) is finally coming to Temple Courts. Brigid McDermott is a resident of mid-city Washington, DC who volunteers with WIN (Washington Interfaith Network). She wants to live in a diverse and inclusive city, but likes to escape to the countryside to play with horses occasionally.